Sawyer’s “Fisherman’s Formula” Picaridin is derived from Piperine in pepper plants. This synthetic replica of a natural solution has proved to be a very effective formula on mosquitoes, ticks, and flies while still being family friendly, gear safe, and very comfortable to wear on your skin. 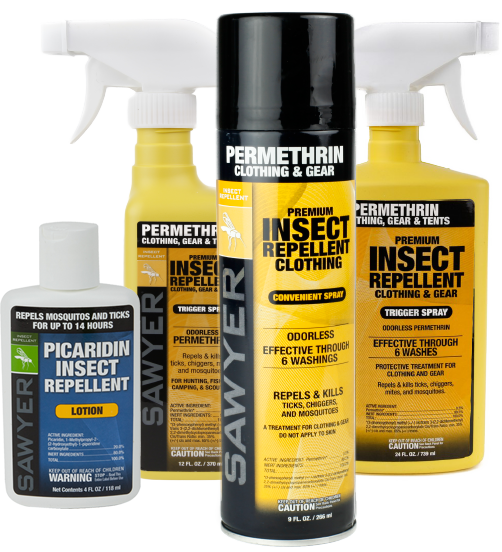 Sawyer’s Odorless Permethrin for clothing and gear does not harm any fabrics or finishes, making it one of the most versatile and easiest ways to maximize your protection from Lyme Disease and the Zika Virus. Consumer Reports tested a variety of insect repellents, including Sawyer’s “Fisherman’s Formula” Picaridin Insect Repellent. See the full Consumer Reports Repellent Ratings video here. Available in airline friendly sized sprays as well as a lotion which lasts up to 14 hours. Permethrin & Picaridin: The CDC recommends the use of Permethrin on your clothes in addition to a topical repellent. Sawyer’s Permethrin spray is odorless and the longest lasting formula on the market, lasting through six washings or 42 days of outdoor exposure. It can be used to treat clothing, gear, shoes, tents, picnic clothes, and a variety of other fabrics. Is Picaridin as effective as DEET? Picaridin is the perfect balance of efficacy, safety and user-friendliness. 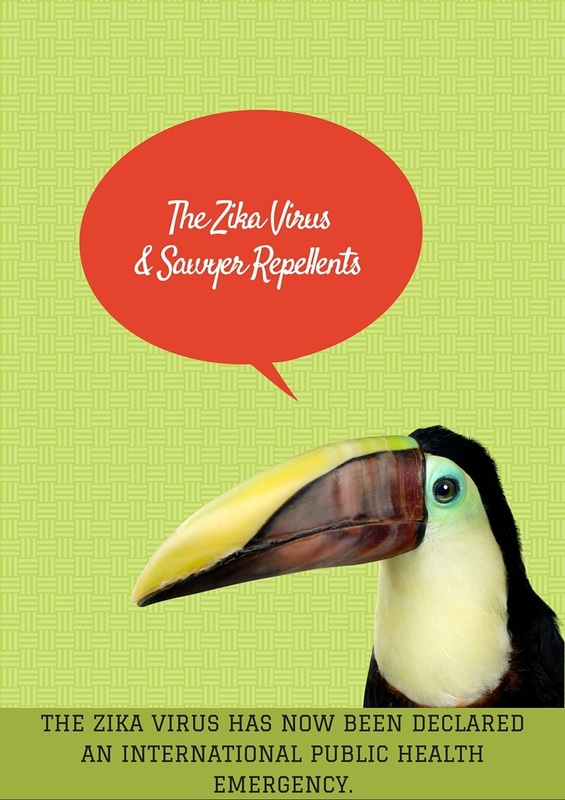 It repels a wide variety of pests including mosquitoes, ticks, biting flies, sand flies, gnats, chiggers and midges. It is the longest lasting repellent with up to 14 hours of protection against mosquitoes and ticks and up to 8 hours against a variety of flies, chiggers and gnats. It’s non-greasy, has a pleasant low odor formula and won’t damage plastics of synthetic coatings. All these factors combined makes Picaridin the optimal topical repellent for the entire family. Is Permethrin safe around my pets? Sawyer Permethrin can be used on dogs but can be toxic around cats until it has dried. Permethrin can last up to two weeks depending on the dog’s hair type and length. How harmful are Permethrin fumes while treating clothing? We recommend spraying your clothing and gear outdoors. If the treatment is accidentally carried out indoors, no adverse health effects are expected based upon calculations of inhaled dose. However, individuals with breathing problems, such as asthma, may be at greater risk. Can I wear insect repellent and sunscreen at the same time? Yes, but with some effects. Repellents are designed to create a vapor barrier above the skin. Good sunscreens are designed to work below the skin. Wearing both usually compromises both functions especially when sprays are used. Sawyer’s recommendation is that if you need both types of protection, first apply Sawyer’s Stay-Put; a bonding base sunscreen. After 10 minutes, apply insect repellent. The bonded sunscreen is less susceptible to the solvents contained in the repellent, including sprays if you use them. This entry was posted in Tips From the Pros, Uncategorized and tagged the zika virus sawyer insect repellents. Bookmark the permalink.